Under Responders are energized in this lively habitat! Customize with sensory stimuli and motor activities for self-regulation. Children who are under responsive will be engaged by the sensory input. 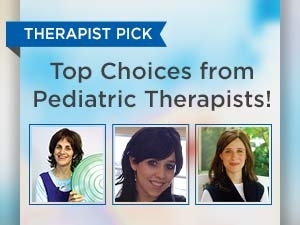 The therapeutic tools are designed to motivate movement, increase alertness, and support self-regulation. Flexible configuration for small or large spaces. Add our Break Box for a range of portable tools. Watch video on Sensory Habitats (also see ActiveMind School Partnership video). Download Self Regulation and Tracking for Kids. 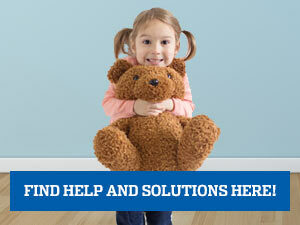 We work individually with you to customize the Habitat for your home or clinic or school. 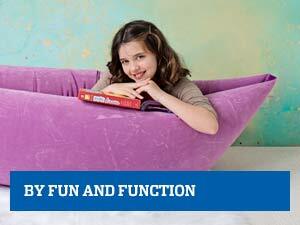 Contact sensoryrooms@funandfunction.com for guidance. Adult supervision recommended. Please note: The following items will ship separately from the rest of your order: Climbing walls (MW5894, MW5890), Ball Pit Balls (MW4880). Please allow 1-6 weeks for delivery and call for an estimated ship date. For safety, maintain a minimum clearance of 6 feet around the perimeter of any swing. 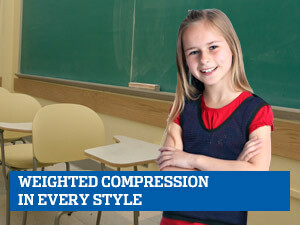 Extend protective floor matting 6 feet from the perimeter of equipment. 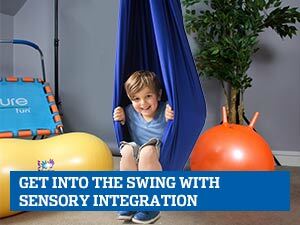 The products in this habitat provides a good variety of activities to help stimulate the low tone under responsive child and awaken their sensory system to help them be for focused. There are activities that would interest all ages both boys and girls.